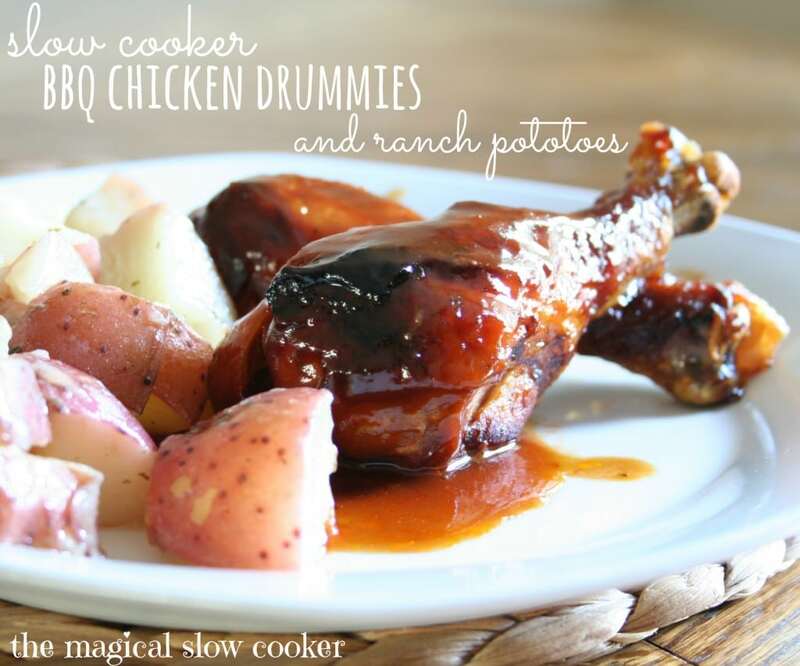 I love a complete meal in my slow cooker, that’s why I love this recipe for Slow Cooker BBQ Chicken and Ranch Potatoes! In a glass bowl, I tossed together red potatoes, olive oil, and some dry ranch mix, then I put the entire glass bowl right into my slow cooker (I used a pampered chef small batter bowl). I then put the chicken drumsticks that I browned, into the slow cooker, right next to the bowl of potatoes, then I added some Sweet Baby Rays BBQ Sauce, and a little water, I cooked this on High for 4 hours. The house smelled so good while this was cooking. I could barely wait! Chicken Drummies are such a kid friendly meal, my little one loved it! In a small glass bowl mix together the potatoes (I used a pampered chef small batter bowl), 1 tablespoon of oil, and the ranch dressing mix(note- only a ½ of a packet). Place bowl with the potatoes into slow cooker. If you don't have a bowl that will fit in your slow cooker with the chicken, don't fret, just make a packet out of foil. Brown the chicken drumsticks in a skillet with a little cooking oil until browned on all sides, no need to cook the chicken completely. Place the chicken next to the potatoes in the slow cooker, add the bbq sauce on top of the chicken, and the water as well. 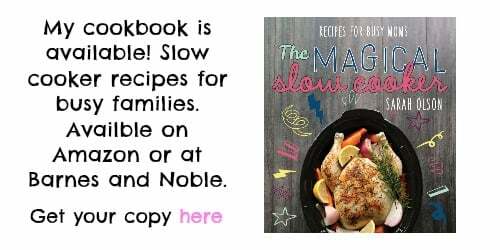 Place the lid on the slow cooker. Do not open the lid during the cooking time. After cooking time is up, stir up the potatoes a bit. When serving, spoon the extra bbq sauce onto the chicken. I haven’t tried that yet Hannah. If you do try it, let me know how it works! I did, I was nervous the heat would shatter it but it didn’t. Everything went fine. I used a small pyrex bowl. Thanks Corey! You are too kind! I love that you are cooking the potatoes and the chicken both on the crock pot. 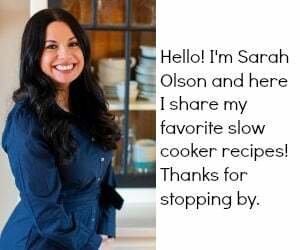 Thanks for sharing this awesome recipe at Simple Supper. Great simple recipe. Will try this at home this weekend. Can you make this using boneless chicken breasts? And how would you adjust the recipe for it? Thanks! I would do 1.5 to 2 pounds if the chicken breasts. 4 hours on high still. I hope this helps! For those with a 5 qt. 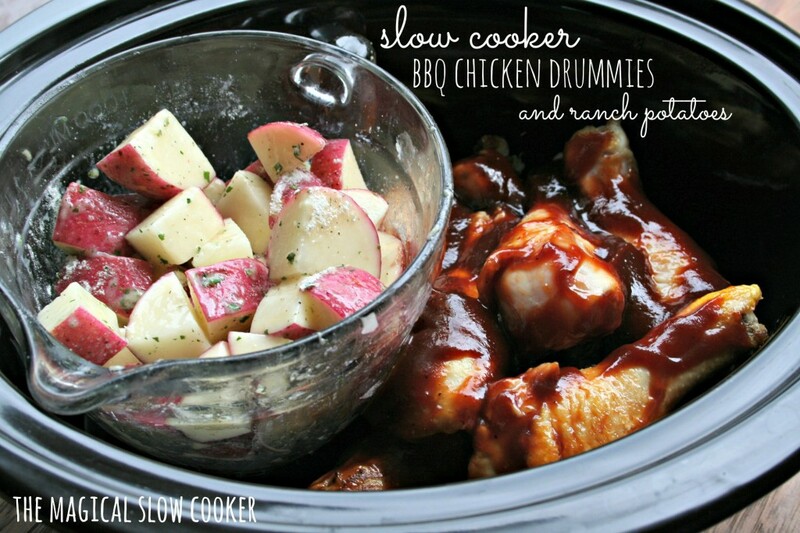 slow cooker, I was able to fit a 4 cup Pyrex measuring cup and 8 drumsticks in mine. I have 3 hours and 30 minutes to go. So exciting!! This sounds delicious! I want to make this while I’m at work one day… Would 8-9 hours on low work for this if I’m using boneless chicken breast? After everything goes into the crockpot do you need to cover it with water??? Im going to make this tomorrow! So after work I bought all the ingredients to make this tomorrow and only just now realized I accidentally bought chicken wings instead of chicken drumsticks…do you think that would work fine still? Hey! 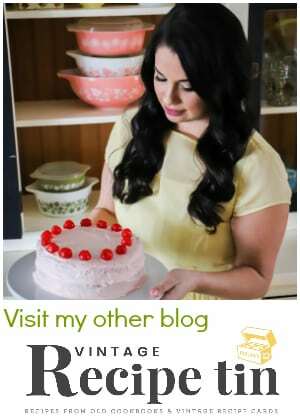 I am trying this recipe out, but am new to cooking. Could you change the pounds to amount to make it easier for those of us who don’t have anyway to measure the food? The potatoes would be easiest in cups for me also. Brilliant! I’m trying this for sure. I recently found a replacement crock that is divided in half. Perfect for this! I have a smaller round crock pot. I’m thinking I need a bigger one to make this meal. Also, if I don’t have a glass bowl what else can I use? For this recipe, do you have to brown the chicken prior to placing it in the crock pot, or could you just place the chicken in without browning it? Yes I think it would turn out fine without browining. If you have a small crockpot in addition to the large one, can you cook the potatoes separately from the chicken? Or should they cook together for the flavor? So easy! I had my 10-year-old do the potatoes. We put them in the crockpot in a metal bowl and it was just fine. 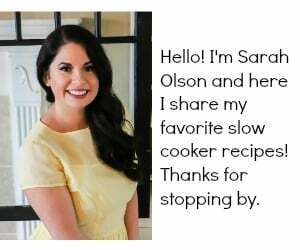 I LOVE the idea of a crockpot meal that is not one dish, if you know what I mean! Thanks! And the chicken was amazing! I usually don’t like drumsticks because they’re a hassle for me but the chicken fell right off the bone…and of course they’re cheaper!